12/13/14: We were very impressed with our first experience staying at the Ala Moana Hotel. The check-in was very easy, quick and painless. The staff were very professional and courteous. The unit was very clean, modern and spacious with fabulous views of the city and mountain. 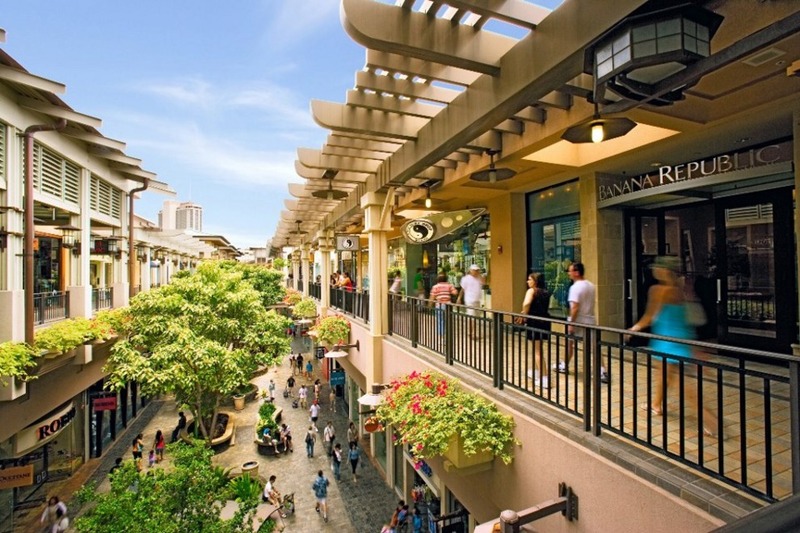 It is extremely conveniently located and connected to the Ala Moana Shopping Centre. We didn't have to worry about parking as we conveniently walked there. The unit was very comfortable and quite. We expected to hear some noise as it is a hotel, but were pleasantly surprised to find it peaceful. 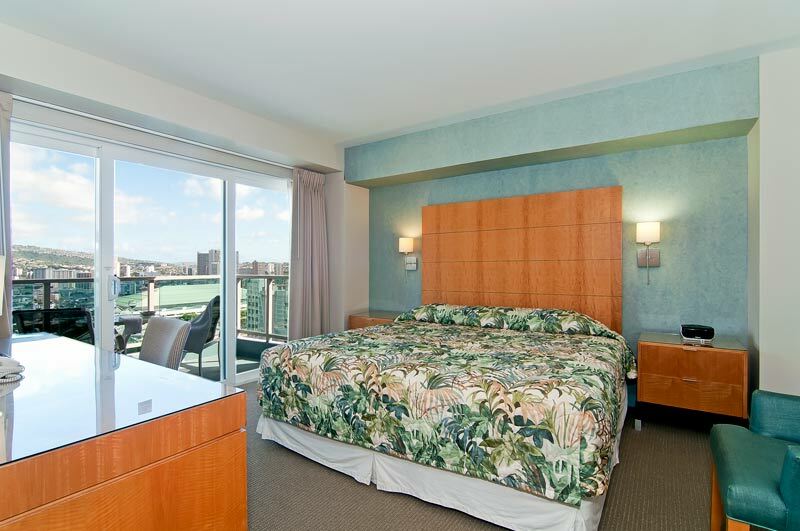 We would definitely recommend this suite to anyone visiting Honolulu. 10/24/14: The location and description of the 1 bdrm was accurate, check in was hassle free and it was clean. We travelled with our 80 year old mother and found the easy walk to the Ala Moana Shopping Centre, trolley services and bus depot extremely convenient. Also, most activity companies did a pick up from the Ala Moana Hotel so you didn't have to go to another hotel for a group pick up. I would highly recommend this property to friend's and family as this property was well maintained with the added bonus of two tv's, two fridges, toaster, microwave and cook top, dishwasher. The comforts of home with an amazing view especially at night - we took some unforgettable photos and will definitely come again. AMENITIES: Swimming pool with spacious sundeck, fitness center with sauna and steam room, restaurants located in the hotel, Lounge and Nightclub, nearly 15,000 square feet of meeting space, gift store. RATES: Contact us for more information! Surround yourself with everything you need for your Hawaiian Vacation--Beaches, Ocean Views, Shopping and Dining, all outside your door! 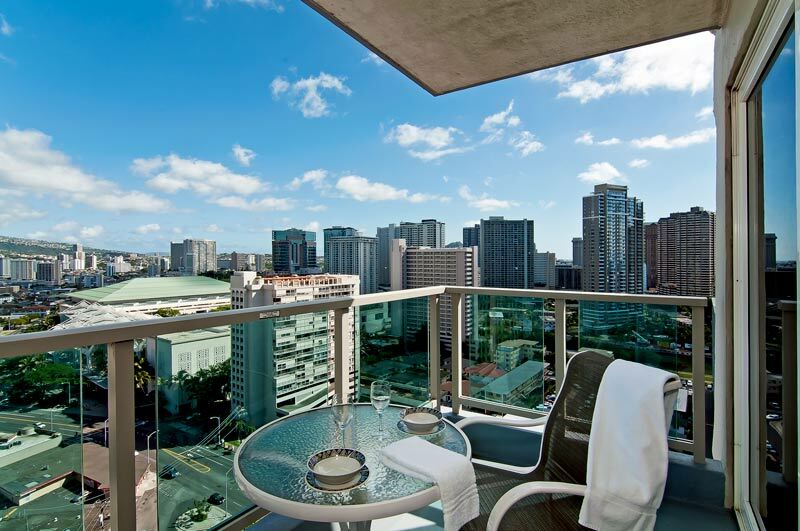 Experience island-style comfort in one of the most convenient locations in Honolulu. Our unit features a well-stocked kitchenette, living room with sleeper sofa, and complete privacy between the bedroom and living areas. You can also enjoy ocean views from your private balcony and stay connected with complimentary Wireless Internet service. 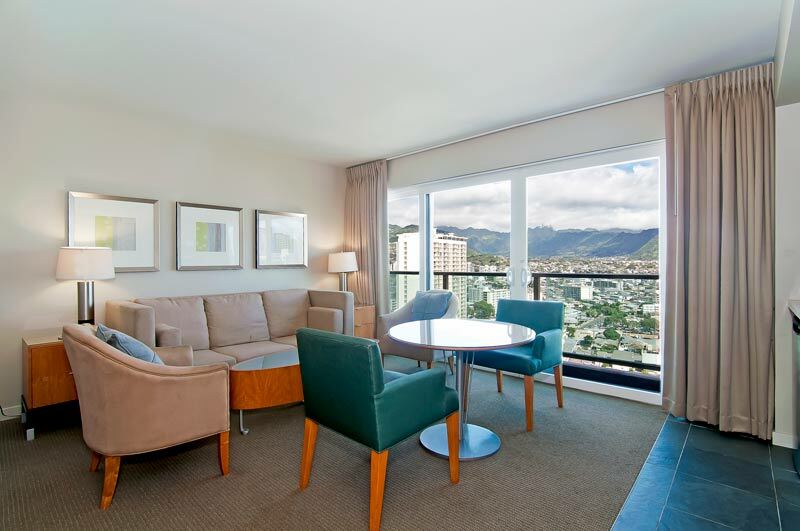 While you have all the en-suite comforts you may need, you will probably find yourself spending very little time in your unit at the Ala Moana Hotel. 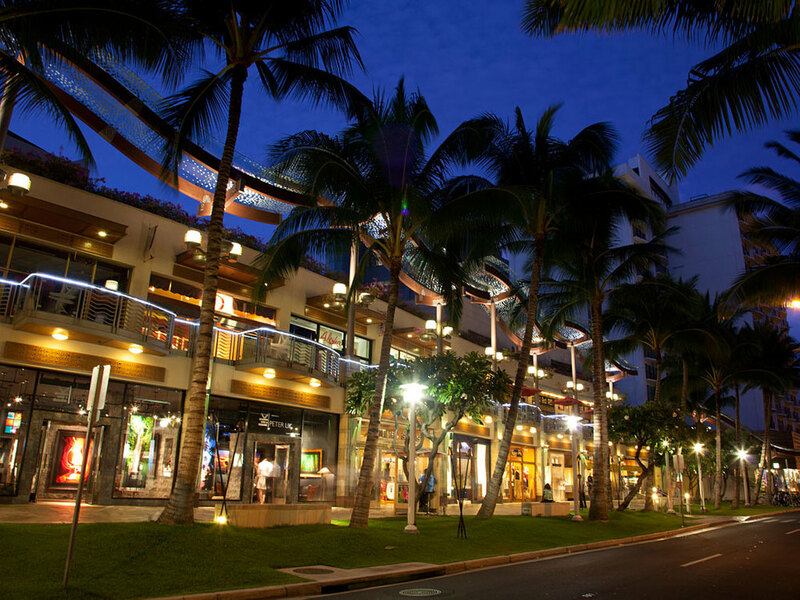 Just outside the lobby door you have access to Ala Moana Shopping center, with over 450 retail shops, restaurants, and specialty boutiques. Walking distance from the building is Ala Moana Beach park, where you can surf, sun bathe, or stroll down the beach. 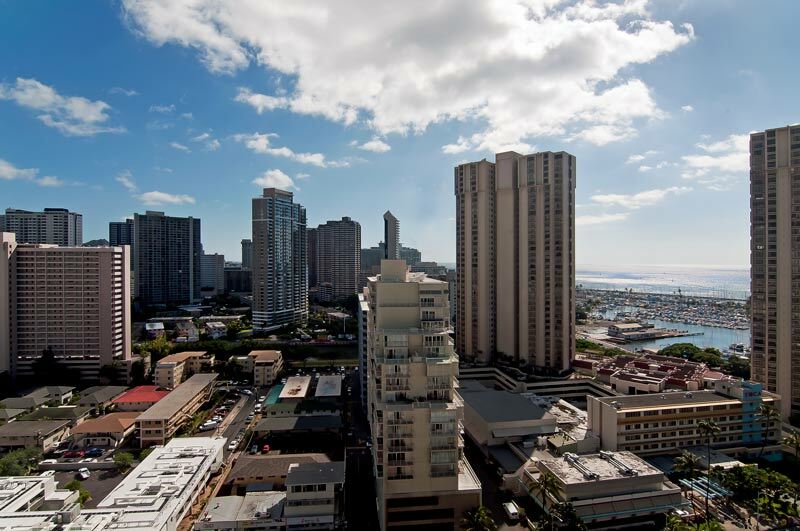 You can then simply hop on a trolley to take the short 5-minute ride into the heart of Waikiki, where more shopping, dining, and beaches abound!